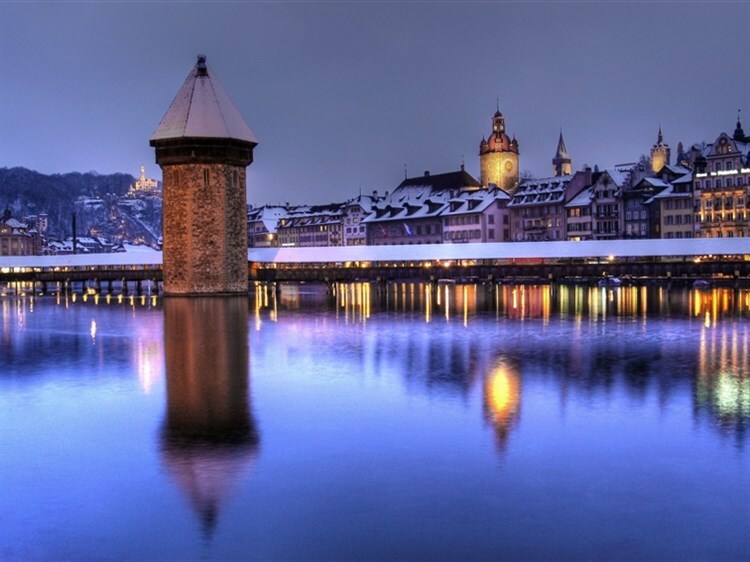 How do you fancy a Christmas with a difference amidst the lakes and mountains of Switzerland? 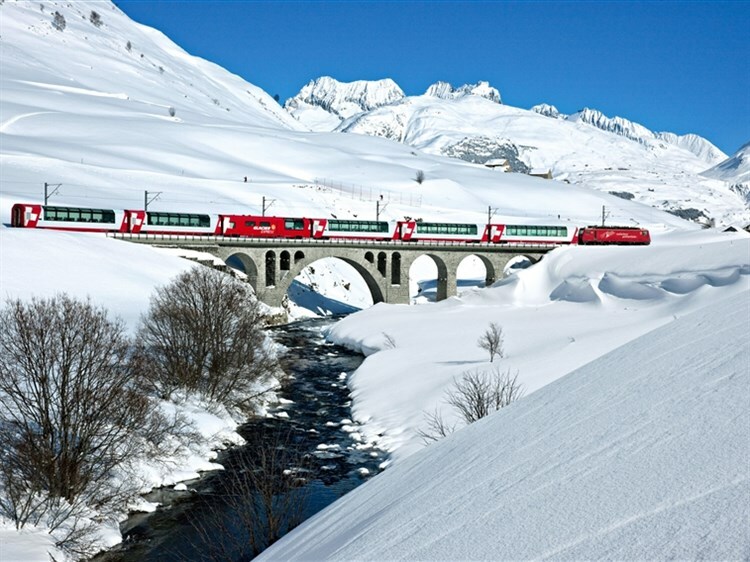 Marvel at wintry scenery on the Goldenpass Line, the route of the Glacier Express and the Rigi Mountain Railway, soar up Mount Titlis, and relax on Lake Lucerne's shore at the 4-star Seehotel Pilatus, whose leisure facilities open out onto a fantastic panorama of lake and mountain scenery. 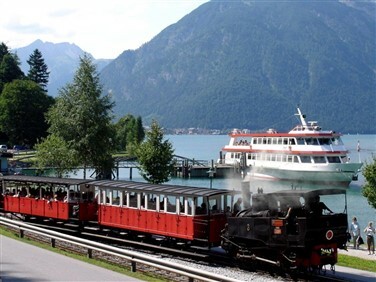 The first of our spectacular excursions features one of Switzerland's most scenic railways, the Golden Pass Line from Lucerne through classic alpine scenery high over the Brünig Pass to Interlaken. Here we climb up to the pretty Swiss mountain village of Grindelwald, nestled at the foot of the Eiger's north face. 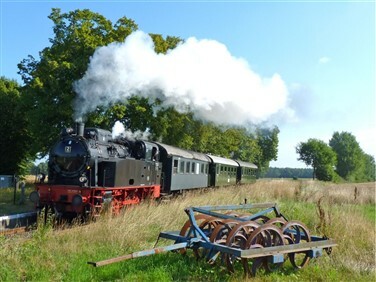 Enjoy some free time here before we retrace our tracks to Hergiswil. 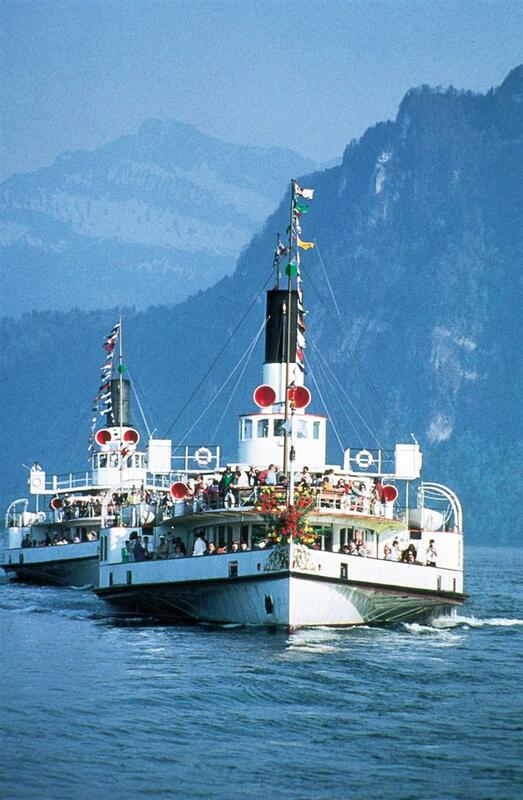 Our excursion today on the Voralpen Express departs Lake Lucerne, passing Lake Zug, before beginning its ascent through snowbound Rothenthurm High Moor en route to Einsiedeln, whose monastery is Switzerland's most significant baroque building and most visited pilgrimage site. 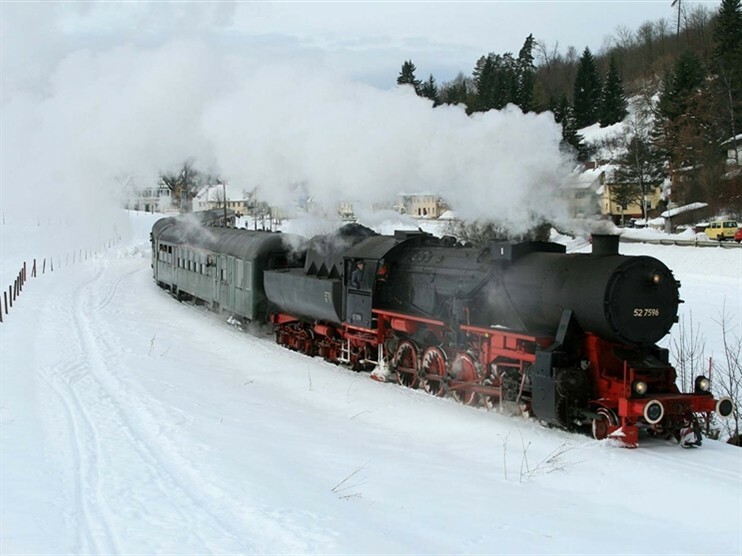 The Snow Express train leaves the shores of Lake Lucerne, heading into the Engelberg Valley through delightful villages nestling at the foot of increasingly steep and lofty mountains. 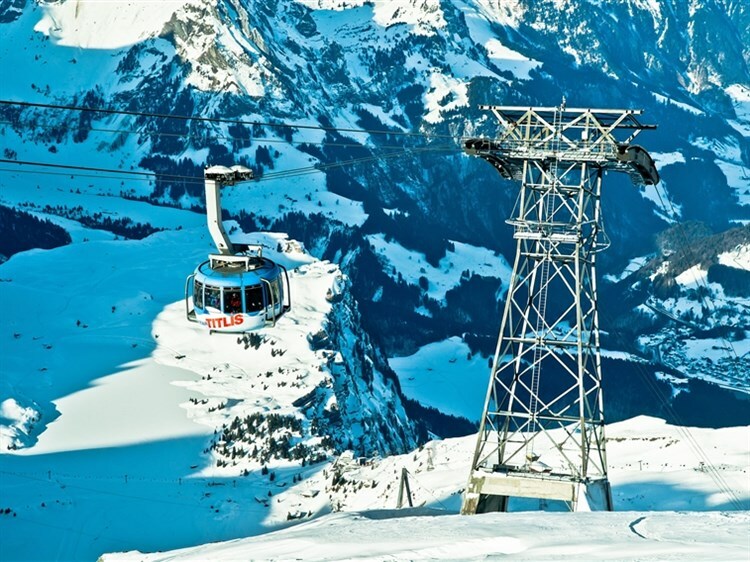 From Engelberg we ascend Mount Titlis on the world's first revolving gondola - the 'Titlis Rotair'. The gondola rotates a full 360 degrees during its ascent, providing breathtakingly beautiful panoramas as you soar to the mountain station at an altitude of over 3,000 metres above sea level. 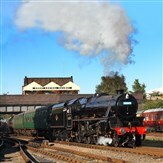 A Christmas Day with a difference! After breakfast we head out on the Schölenen Railway line south towards the Gotthard and onwards to Oberalppass. 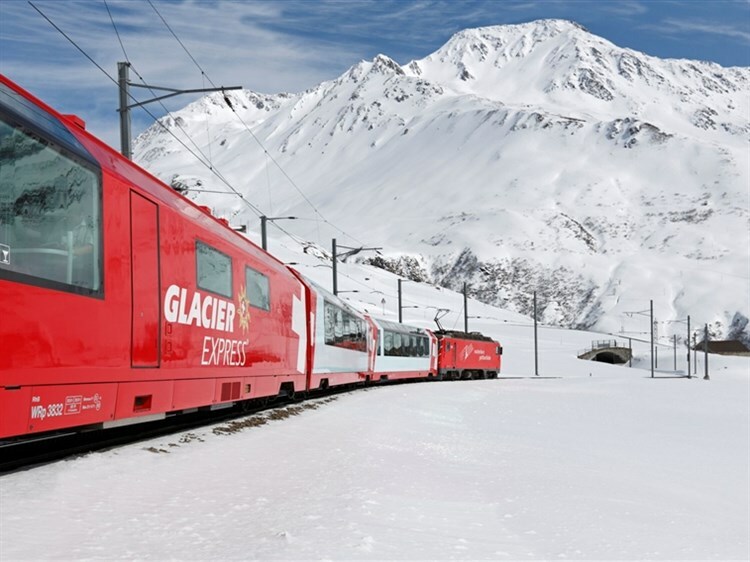 We then experience a taste of the Glacier Express route from Oberalppass, the highest point on the line, through to Andermatt. After free time in this beautiful Swiss mountain village, we return to Hergiswil to enjoy our Christmas dinner, with wine. 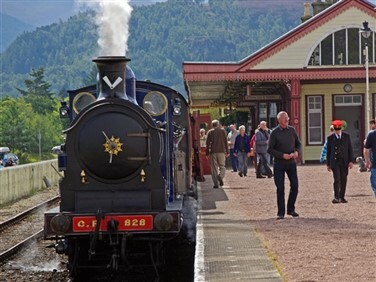 Blow those cobwebs away on Boxing Day on Europe's first mountain railway! 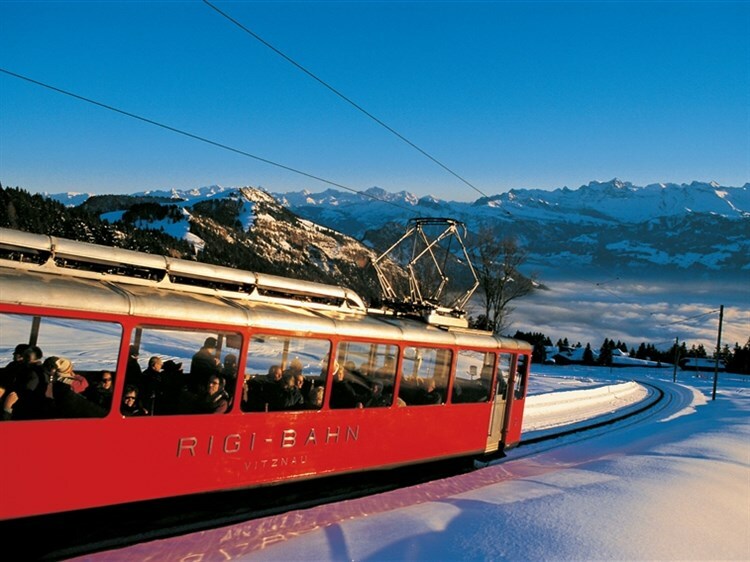 The Rigi Railway, has been transporting visitors from all over the world to the top of the 'Queen of the Mountains' since 1871. The Rigi was the preferred destination of writers and heads of state during the 'Belle Epoque' era between 1884 and 1914. 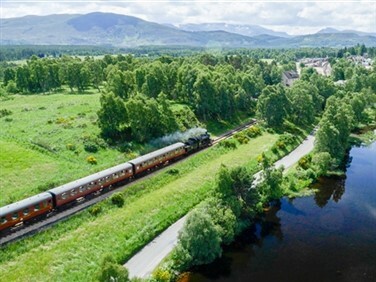 Mark Twain, Tolstoy and Goethe all enthused about the beautiful views and even Queen Victoria wrote that, "We are amused!" 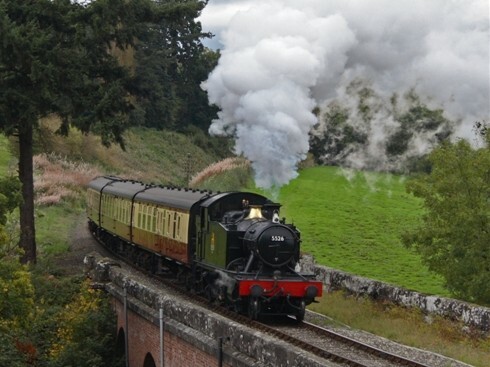 Enjoy the 'Queen of the Mountains' for yourself on a mountain adventure. 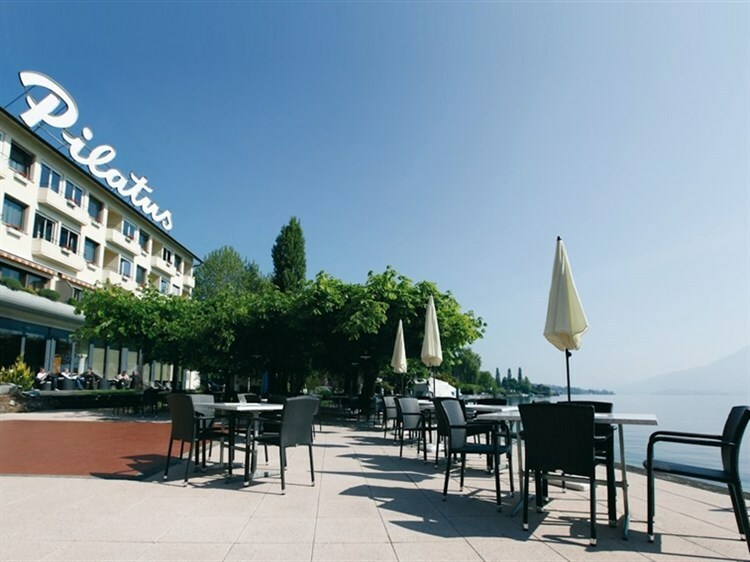 A day at leisure in Hergiswil allows you the opportunity to relax and unwind by lovely Lake Lucerne and maybe take full advantage of the hotel's leisure facilities. 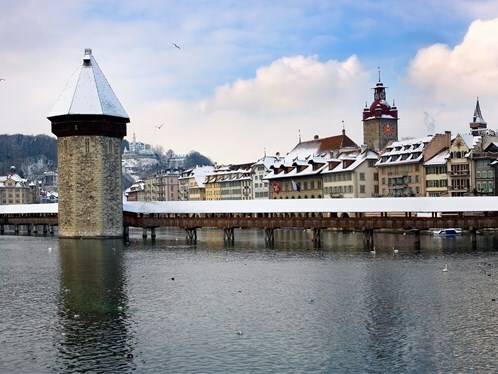 Alternatively, you can use your local transport pass to visit Lucerne itself by steamer, with its famous Chapel Bridge and Transport Museum.